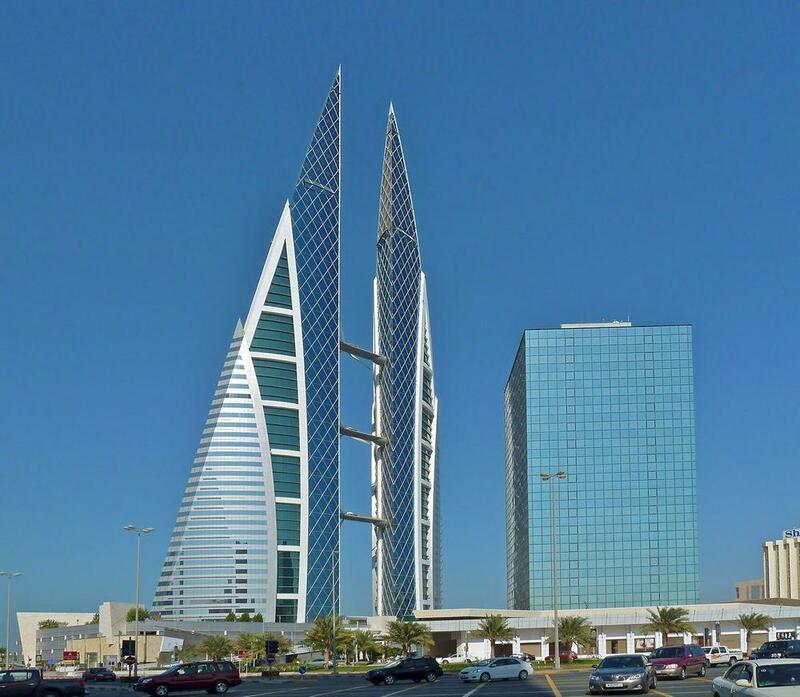 Below are listed the most amazing natural and man made landmarks of Bahrain. Tree of Life – Southern Governorate. Approximately 400 years old mesquite (Prosopis cineraria (L.) Druce) growing in a place which is devoid of water. Al-Hajar burial complex – Northern Governorate. Group of more than 150 subterranean tombs cut in rock and covered with capstones. Barbar Temples – Northern Governorate. Three temples of Dilmun civilization, built atop each other. First was built around 3000 BC, second – around 2500 BC and the third – sometimes between 2100 – 2000 BC. Temple had two altars and natural spring. Diraz – Northern Governorate. Ancient settlement, temple and fortified Umm Al Sajoor spring of Dilmun civilization. Spring was filled with land in the 7th century AD by Ummayad caliph – then it was cleaned again by the villagers. Hamad (Karszakkan) burial mounds, A’ali burial mounds and other sites – Northern Governorate. Very impressive sets of many thousands of burial mounds – tumulus. 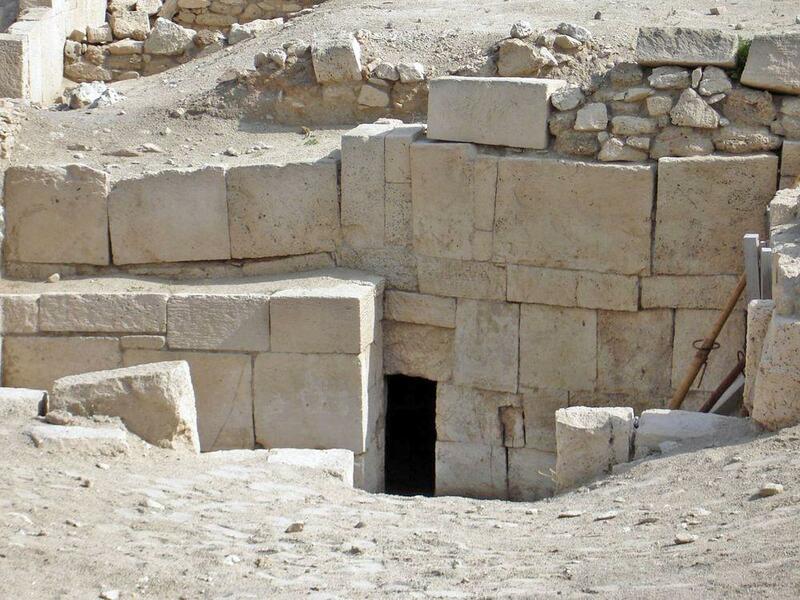 Burials have been shaped by the people of Dilmun civilization and other cultures. There are 9 more burial fields. Jannusan burial mounds (Royal Mounds) – Northern Governorate. 8 enormous burial mounds from the Bronze Age, more than 10 m high. Saar – Northern Governorate. Ruins of prehistoric town of Dilmun civilization from the Bronze Age (around 2000 BC), area – approximately 15 ha. Research has provided some insight into this little known civilization. Qal’at al-Bahrain (Bahrain Fort) – Capital. The former center of Dilmun civilization. Artificial mound with an impressive fort on it. The 12 m high mound consists of 7 stratified layers and was created by constant habitation from 2300 BC to the 18th century. This area (approximately 15 ha) was fortified since the ancient times. Portuguese fort was built in the 16th century. Al Fateh Grand Mosque – Capital. One of the largest mosques in the world which can accommodate more than 7,000 worshippers at a time. Built in 1988. Significant detail is the largest fiberglass dome (diameter – 24 m) in the world. Khamis Mosque – Capital Governorate. 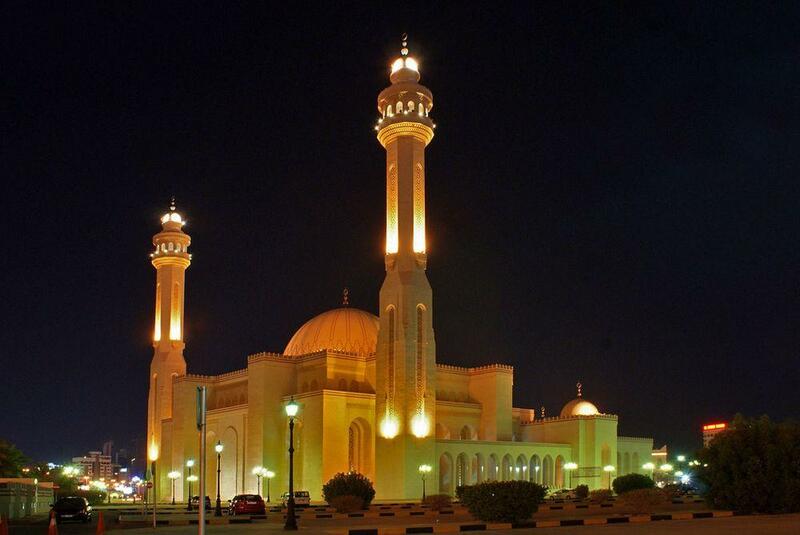 The first mosque in Bahrain. It is believed that the foundation of this building was laid in 692 AD, current building is from the 11th century and much rebuilt in later times. Arad Fort – Muharraq. Fort, built by Arabs in the 15th century. Compact structure with four cylindrical towers on corners. Riffa Fort – Southern Governorate. Persian built fort from the 17th century, converted into palace in the 18th century. Al-Sakhir Palace – Southern Governorate. Imposing palace complex, built in the desert in 1870 – 1901. Isa Bin Ali House – Muharraq. One of the best examples of historical Bahraini architecture, a house of Shaikh Isa Bin Ali with massive windtower. Siyadi House – Muharraq. The 19th century city house with detailed ornamentation and finely carved doors. 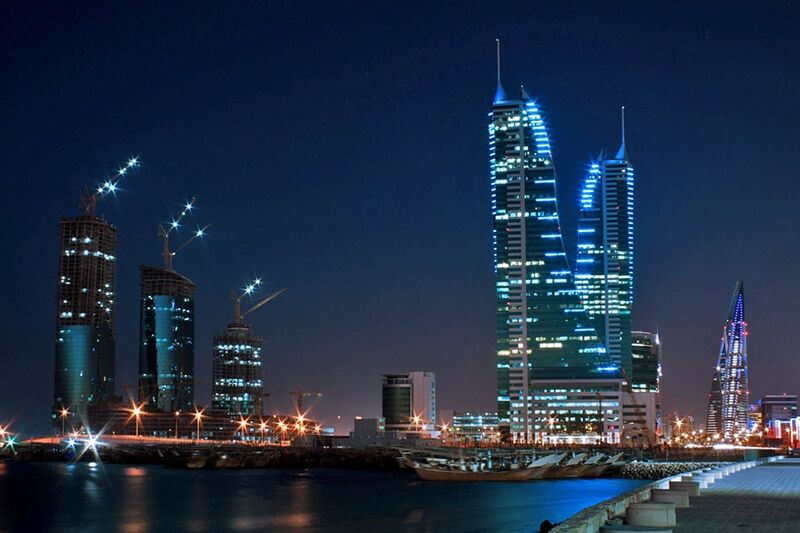 Bahrain World Trade Center – Capital. 240 m tall twin skyscrapers, the first in the world with integrated wind turbines. This 50 floor high building was built in 2008. King Fahd Causeway – Northern Governorate and Saudi Arabia, Eastern Province. 25 km long system of causeways and bridges across the waters of Gulf of Bahrain, connecting Bahrain to Saudi Arabia. Road has 4 lanes and it was built in 1981 – 1986. The most surprising landmarks in this small island country are the monuments left by a Dilmun culture – prehistoric or ancient culture which sometimes is seen as a separate civilization. This culture flourished around 3200 – 1600 BC and has left some of the largest necropolises (such as Hamad and A’ali) in the world with some 170,000 graves. It is well possible that people from far away were buried here. Unfortunately this unique heritage is endangered – covered with city. 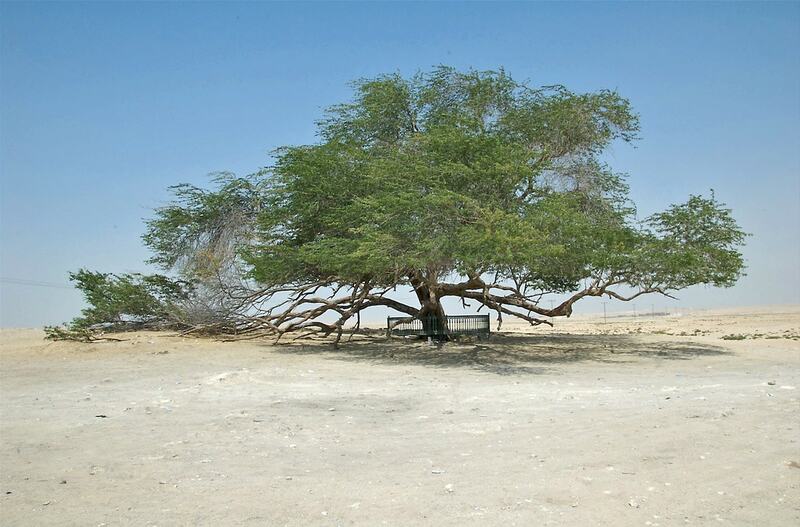 May be the mystery status of the Tree of Life in Bahrain is somewhat exaggerated – but this vivid, majestic mesquite tree looks magnificent in the harsh desert. This lonely tree can provide valuable teachings about the ways to make Bahrain more beautiful. Information and background for travelers and expatriates includes a brief history and description of Bahrain, along with facts about the food, language, culture, and pastimes to help the “shocked” function in society, business, and residence. This book was digitized and reprinted from the collections of the University of California Libraries. It was produced from digital images created through the libraries’ mass digitization efforts. The digital images were cleaned and prepared for printing through automated processes. Despite the cleaning process, occasional flaws may still be present that were part of the original work itself, or introduced during digitization.